Jimmy was one of the best chefs in the world and he worked in a luxury restaurant in London. He had only just turned 19, but was also considered the grandest chef in the world, not just because of his delicious way of cooking but also because of his size. 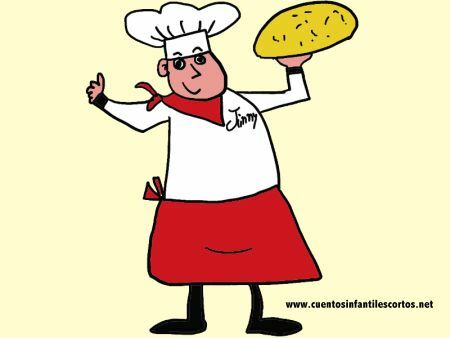 Jimmy weighted 330 pounds and was known as the greedy chef, he could barely move around the kitchen due to his weight because he wasn´t very agile or flexible. One day, tired of feeling like that, he decided to change the menu. He added all kind of vegetables to his recipes and cooked exquisite and healthy dishes, that everybody liked, including children. Jimmy began to loose weight and after a few months he felt much better. He had learnt that health comes first and that it is important to eat fruit and vegetables, not only meat. And our greedy chef then became a healthy chef. Share this short story for kids with your friends on Facebook, Google +, or Twitter with the buttons you’ll find at the end of the story. Thank you! Stories for kids written by: www.shortstories.net (a pseudonym).